One of my most memorable university experiences was to assume a handicap for one week. The class was the Psychology of the Handicapped. Some students chose to be wheelchair bound; others were dependent on crutches. I chose to have a severe speech impediment. Prior to starting our experiment, we were to write about our expectations. At the end of the week’s experiment, we wrote a second paper in which we contrasted our expectations with the realities that we experienced. I found that I talked less, much less. I was more tentative about talking at all, and I was very careful when approaching a stranger. I always looked for a sympathetic face – the face of a person who would have patience with me – who would work hard to understand my garbled speech. Several of my classmates chose to be blind. They discovered that deprived of sight, their other senses were heightened. Not to the point of compensation, but heightened. Typically, we don’t think too much about our senses until we lose one. 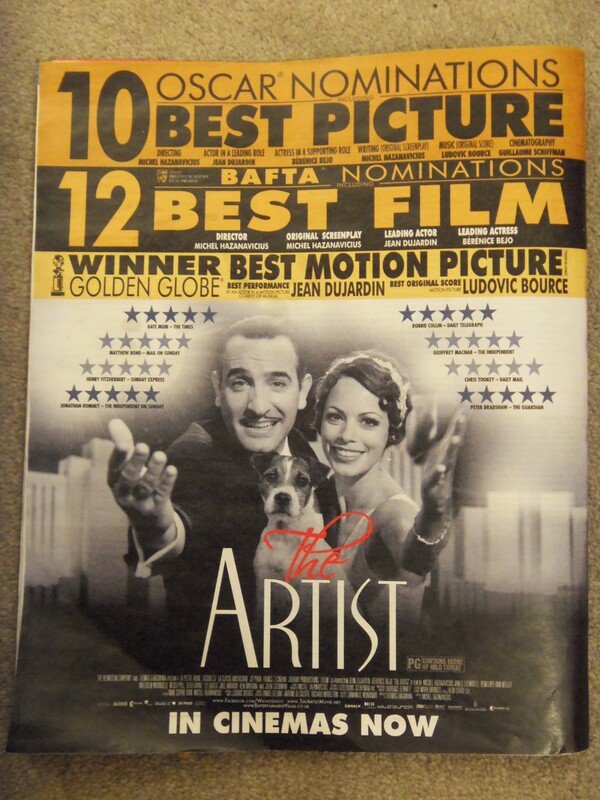 It is curious to me that so many people have complained about the newest silent movie, The Artist. Most complaints center round the fact that although there is a musical score and a sound track, you read the dialogue rather than hear it. To me, the charm of The Artist is that I really focused on the acting, the writing and the music. The absence of spoken dialogue focused my attention and heightened my appreciation of what was there. I scarcely missed what wasn’t there. Which brings me to a London restaurant that I plan to visit next time I’m in the city. Dans le Noir is a French restaurant on Clerkenwell Green. What makes it special is that the diners eat in total darkness. From reception, one of the 11 blind guides leads you into a totally dark room. Your hand is on the shoulder of the person in front of you, and elephant-like, trunk-to-tail, you follow your guide. Once seated, you must stay in your place; otherwise, you might trip one of the blind guides. Should you need to leave, you are directed to call your guide by name. Deprived of sight, your total attention is on your food. The man with the napkin tied under his jowls, the woman with the false eyelash on her cheek, the waiter with the unzipped fly, your dining partner with lettuce on his lower lip… none of these things will distract you because you will never see them. I have seldom, if ever, “lived in the moment.” But here… in the dark… with designer food in my mouth…I think that I could capture that elusive New Age state. The past and the future would fade away. It would be all about the food. “How impaired we are by our vision.” I love that thought. Dependent as we are on our vision, we don’t realize that our dependency is at the expense of our other senses. If you were to choose a handicap for a week, what would it be? What preconceived notions would you take to the exercise? We tend to think of physical handicaps, but mental illness is most certainly a handicap. If you have not had personal experience with mental illness, you know someone who has. Use this knowledge as a resource and develop a character who is handicapped by his illness. With the 2012 Olympics coming to London and all tickets sold, the Olympic committee has gone to great lengths to promote the Para Olympics which began in Britain in 1948 as a way of integrating/honoring the WW II vets. Watching the athletic prowess of these handicapped athletes really makes you consider the word “handicapped.” Perhaps using the word “handicapped” is handicapping in itself. Read up on the Paralympics and put your research to use in a short piece. This entry was posted in Uncategorized and tagged "The Artist", Dans le Noir, dining in the dark, handicapped awareness. Bookmark the permalink. We could start small, say, eat chocolate in the dark on Valentine’s Day?